I am sharing helpful hints for writing as a part of the Superb Writers’ Blogathon. In partnership with Grammarly grammar checker, this series is bringing helpful hints to aspiring superb writers all across the world wide web. These days, it seems that we are so caught up in preparing students for statewide reading, math and science tests that writing has fallen by the wayside. I think that is a shame, because I love to write almost as much as I love to read! Today, I want to share a few tips with you on how to help your students become great writers. Teach students the writing process, and then use the process consistently. Most teachers teach students the writing process at the beginning of the year, or when they tackle the first writing assignment of the year. Then, they never review the writing process with students again. Sometimes, they don't even require students to use it when they have a writing assignment. 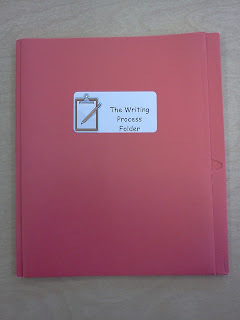 We teach the writing process because it guides students to produce well thought-out writing. If we want them to do that consistently, then we need to not only teach the writing process, but be sure that students are using it. 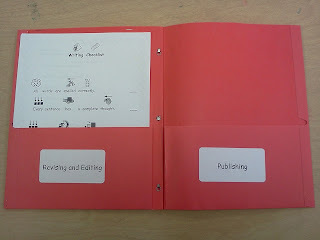 To help keep my students on track with the writing process when they are working on a writing assignment, we use our Writing Process Folders. 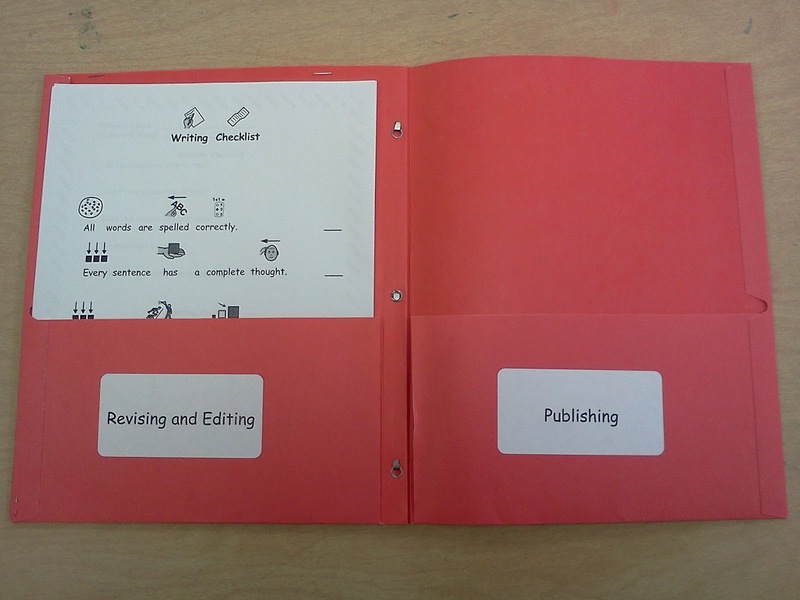 These are so helpful, and students can keep everything together with their papers for each step in the correct pocket. 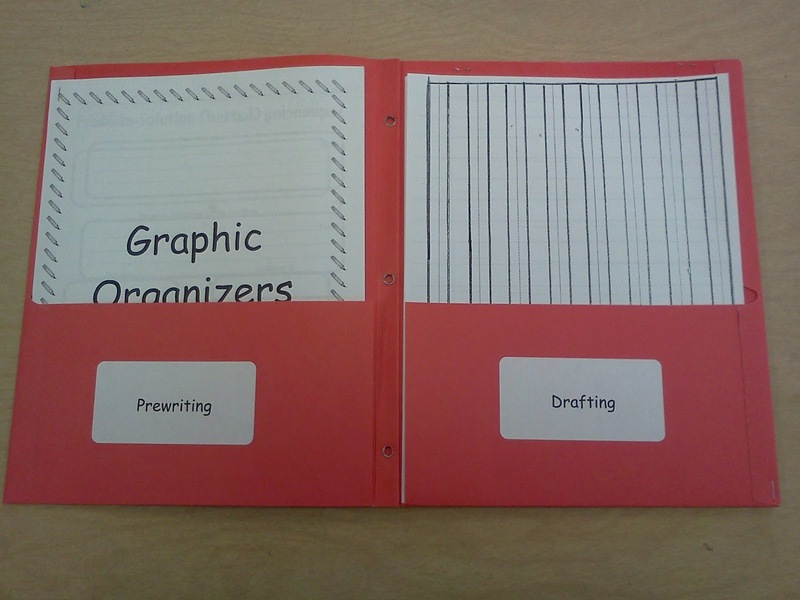 It not only helps to ensure that students are following and using the writing process, but it helps them to stay organized at the same time. Update: Here is a video on how to create writing process folders for your classroom! Enjoy! Teach students to "use their tools". My students know that we have several tools that they can use for writing. Those usually include the dictionary, the thesaurus, and because my students are English language learners, it often includes a bilingual dictionary. When my students get to high school or college, I won't be there to help them, so I want my students to be independent writers. In my classroom, this means teaching students how to use resources on their own. If they need to know how to correctly spell a word, they go to their dictionary. During the revision process, I like to have students find at least three "boring words" in their writing and use the thesaurus to spice up those boring words. I also encourage students to use each other as resources- they can discuss ideas, ask for assistance, and they always do some peer editing. One of our other rules is "ask three, then me". Again, this helps students to be less dependent on me, and gives those who are a little more advanced the opportunity to help "teach" their classmates. I firmly believe that one of the best ways for students to improve as writers is for them to do lots of writing. What's that old saying- practice makes perfect? If you want students to do well on formal writing assignments, then they need to have lots of time to practice. One great way to do this is through journaling! I believe that reading and writing need to be connected, so one great way to achieve this while giving your students writing practice is to have them respond to the literature that you read in class in their journal. I don't usually edit student's journals; in my classroom their journal is their space- I simply check to see that they completed the task. I find that journaling helps to dissolve those "writer's blocks" that seem to come when students are suddenly expected to write out of the blue. It gets students used to the process of putting their thoughts down on paper, and makes the idea of a writing assignment much less intimidating. Don't bleed on the papers! Few things can be more discouraging for aspiring writers than to get back a paper that they worked very hard on, only to find that it is covered in red corrections. While providing corrections to students is an important part of the learning process, we must also be sensitive! Instead of marking up every mistake you find in a paper, choose one or two things that you will look for to make corrections for each writing assignment, and focus on those items. For example, if your students struggle with remembering their punctuation and capitalization, you might focus on that particular skill while correcting papers. If a student consistently struggles with subject verb agreement, you might choose to focus on that skill when grading her paper. I hope that these tips will help you to produce some amazing writers in your own classroom! Great ideas Laurah! I definitely will implement some of them!!! Thanks for sharing! Thanks for stopping by, Andrea! Great Ideas. I am your newest follower! My name is Satya, a student teacher currently on my very first practicum in a grade six class. My dream is to work with English language learners at international schools, as I used to be an English Language Learner as well. Your blog has so many inspiring ideas! I am your newest follower; I would love it if you could follow me back! On my way to staples to buy folders.Great idea!!! !